Temper (verb) – both to soften (to temper one’s rhetoric) and to strengthen (as in, to temper steel). I’m stretching things a bit here, because I’m moving from “_nyms” (nouns) to adjectives. Nonetheless, I wonder if the word “virtuous” does not now have contronymic qualities. From the Latin root vir, which means man, or man of courage, which we, of course, apply to all people male and female, we get our noun “virtue.” We likewise get the adjective “virtuous.” “Virtue” and “virtuous” traditionally identify good character qualities, ones that we would desire to embody: strength and courage, especially moral courage – the willingness to stand firm for the good and the true, even in face of pressure and opposition. Controversy inevitably touches almost all of life. It seems to me that controversy and conflict swirl around us all the time. With the 24-7 cable news networks, with the need to catch the attention of an experience-saturated and jaded populace, “drama” as we sometimes call it, seems like an ever-present reality. Drama and passion and conflict keep us tuning in. Who will look the fool on American Idol? Who will have the fight this time on The Real Housewives of Orange County? Many of us comment on the ironic surreality of reality TV, but apparently enough people watch to keep these programs airing. People who profess faith in Christ are certainly not strangers to this problem. Probably most of us in this beautiful chapel today are painfully aware of the reputation that Christians have secured for fomenting the wrong kinds of controversy; for the sense that Christians are really good at judging other people and quite awful at assessing their own flaws. In these days, “virtuous Christian” sounds to some like an oxymoron, or contronymic, like the term has come to mean the opposite of what it is supposed to mean. In spite of contrary cultural pressure, the world needs virtuous Christians. Real ones. We need not flaunt our virtue. In fact, we should not. Still, followers of Jesus should be known for strength, for faithfulness, for reliability, for courage, for integrity, for humility, for graciousness; for our willingness – as the scripture says – to share in the sufferings of Christ, which means to risk loving God love and neighbor in visible, tangible ways. (And who is my neighbor? Jesus answered this question by telling a story. You can find it in Luke chapter 10.) In other words, Jesus’ disciples should have a reputation for strength, consistency, reliability, trustworthiness, honesty and moral courage. The world needs virtuous Christians. Real ones. Here’s the beautiful part. We don’t need to feel strong to be strong. The risen Christ told a weak and suffering Paul, “My grace is sufficient for you, for my power is made perfect (complete) in your weakness.” So Paul could say, “Therefore when I am weak, then I am strong.” I think many Christians live today with a crisis of confidence. We feel ashamed of the reputation associated with the word “Christian.” We know many good people who do not share our faith and we therefore question the validity of our own. We are not at all sure we are up to the test of living daily as serious, committed followers of Jesus. We know that we are as subject to temptation and stumbling and crisis as anyone. As Paul bore witness in Romans 7, we find ourselves swept away by our passions, doing and saying things we really shouldn’t say and do and then not finding the strength to do and say, despite our best intentions, what we know is right. We feel weak, pushed around by life. But feeling weak is not the same as being weak. In the grace of Christ you are strong. In the gracious work of the Spirit of Christ, you are strong. And the world needs you. The world needs you to be strong, to be a virtuous Christian, literally. To speak the truth in love, to serve others in small and large ways. Remember that even a cup of cold water given in our Lord’s name is a demonstration of God’s goodness. The smallest act of Christian virtue can bring good to the world. The world needs you – virtuous Christians – to show what Jesus is like, how the love of Jesus feels, how the reign of God has come upon us all. The world needs you. And you have all you need. It is here, freely available, today. We mark this season with ashes not only to mourn our sins and to repent, but also to say that we live under the sign of Jesus, who died in weakness, but that weakness turned out to be strength; who conquered death by dying; who gives us life by rising. The world needs you, Virtuous Christian. 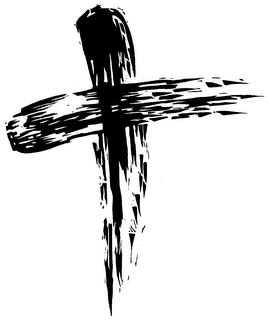 May this Lenten season be life-changing. May you take a step. May you grow in grace. Outstanding! I needed to hear just that today. Thank you my friend.